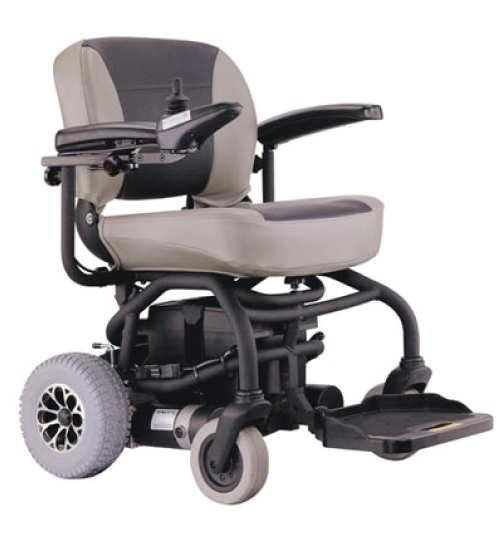 Drive Wheel: 200mm / 8\"
Caster Wheels: 178mm / 7\"
Seat Depth: 400mm x 15.8\"
Back Rest Height: 370mm / 14.6\"
Armrest height: 200mm / 7.9\"
From the same manufacturer as the SupaScoota comes this fabulouse lightweight portable powerchair. 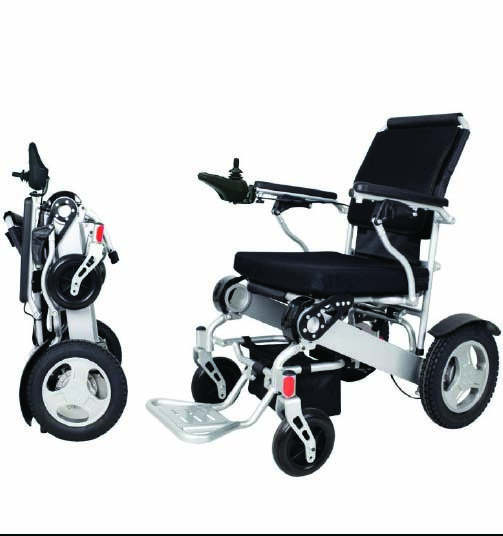 Fully transportable and compact in design it assembles and disassembles in seconds. 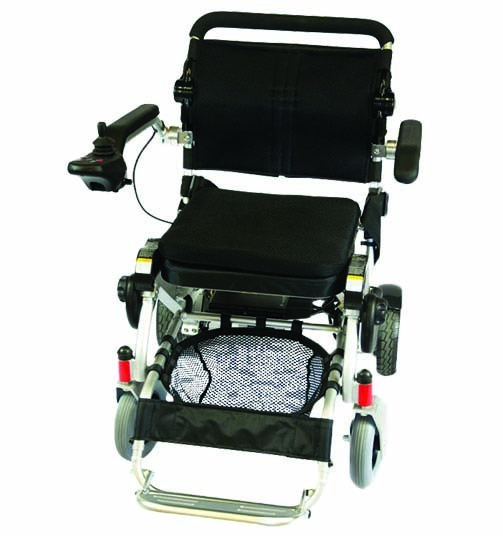 It has all the desirable functions for a powerchair such as a folding footboard for front transfers and folding armrests for side transfers.The padded seat and under seat suspension will allow for a comfortable journey indoors aswell as outdoors. Depending on your requirments you can choose between a Regular Battery (10km range) and a Lithium Battery (16.5km range). If you are planning on using the Safari for longer Journeys you can also choose to get an additonal battery, which will double your range. The Safari has a little spare battery tray located under the seat so it is easy to take the spare with you wherever you go. 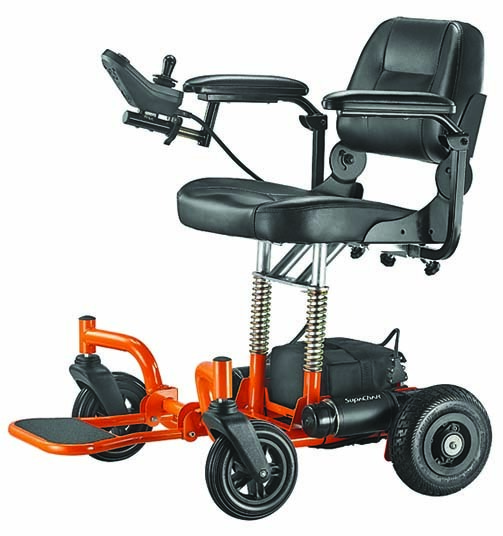 For transport you simply remove the seat and battery and are ready to go. The frame weighs 16.7kg and the seat weighs in at 10.6kg including armrests. The compact dimensions will allow you to secure store the Safari in any car boot.